Having worked as a data scientist at MakeMyTrip and project lead in the analytics team at Persistent Systems Ltd., Amruta Purandare currently leads the AI and Cognitive Computing group as Associate Director in the Analytics Centre of Excellence (CoE), at Happiest Minds Technologies. 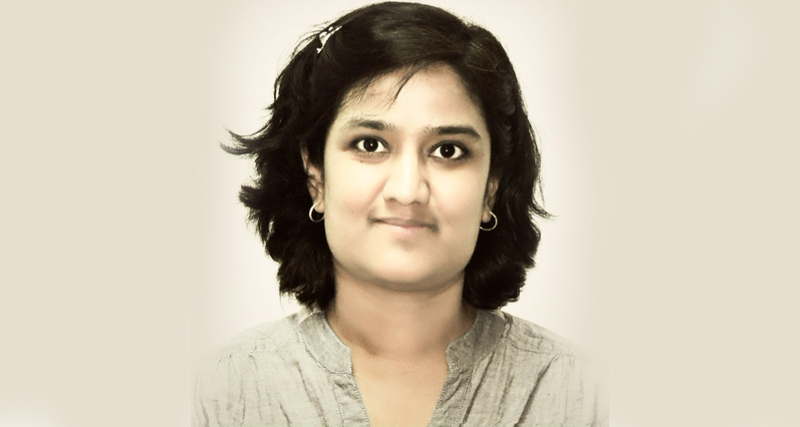 With B.E in Computer Engineering from Pune University and Masters in Computer Science from University of Minnesota, USA, she has a core area of interest around Computer Vision, Image Processing, Video Analytics and Multimedia Technology, IoT, Edge Computing for Smart Homes and Connected Cars. Having lead cognitive computing projects such as developing smart kiosk for retail customers, audio classification, health bot, damage detection etc., she believes that career in analytics and data science for a woman is definitely exciting exciting and promising, with lots of opportunities. “Having niche skills in emerging technologies like AI, robotics, computer vision, image processing, edge computing, Internet of Things, etc. is a continuous learning process, but it definitely helps us stand out in today’s job market”, she says. AIM interacted with Amruta on Women’s day, and she had many interesting facts to reveal. I found my passion for AI and Machine Learning during my undergraduate years, and decided to pursue it further with higher studies. Up until 2014, Data Science and Machine Learning was still perceived more of an academic research field, with very few job opportunities especially here in India. But since 2014, this field has gained a momentum like never seen before. Today, almost every industry sector, whether it’s retail, banking, automotive, manufacturing, health-care, education, travel or entertainment, has lots of customer data acquired over the years, and as a result, need for applied data science and analytics skills. Working with global companies like Amazon and Sony, and in foreign countries like US, Japan, Singapore has definitely given an exposure to real-world problems, and jump start for my career in AI and machine learning. I have been very fortunate to work with companies like Persistent, MakeMyTrip and now Happiest Minds which inspire innovative and creative thinking. Every client meeting or discussion gives me an opportunity to brainstorm new ideas on how some of the same techniques can be applied in variety of different situations or industry sectors, to solve interesting business problems and use-cases. In Happiest Minds especially, I am given a lot of freedom to explore new emerging areas around computer vision, edge computing, video analytics, smart homes and robotics. Most companies these days offer flexible hours and work from home policies, but having a good manager who allows some flexibility is equally essential, especially when dealing with personal crisis, emergencies or tragedies at home. I have recently experienced this first-hand, having lost my mother after a long hospitalisation. Situations like this totally change our whole perspective towards life and career. The hiring process should definitely be merit-based where someone is hired for their skills and talent, not because they are men or women. However, a few years of career gap in someone’s resume should not be a deal breaker during hiring process, especially if that candidate is a woman. I think, having women in top management positions certainly reflects very positively on company’s work culture, in otherwise male dominated society/country. There is something fundamentally different about the way men and women think or approach a problem, and that’s why I feel maintaining a good gender balance in workplaces is crucial for growth and development of our country and society. Online course platforms like Coursera, Udacity, EdX and Udemy, are definitely game changers, providing learning opportunities for everyone around the globe, to upgrade their skills, and earn certificates from top universities which may have been out of reach for many international students in the past. Companies should sponsor and encourage such training programs and online courses to help their employees update their skills and knowledge, to cope with the growing demand for AI / ML skills.